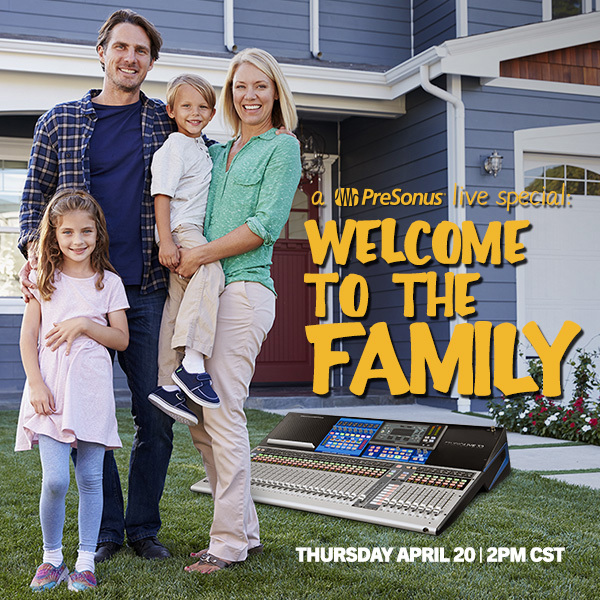 We’re excited to introduce you to the PreSonus StudioLive Series III FAMILY! We’re going LIVE on Facebook and YouTube tomorrow at 2 pm CST to discuss everything there is to know about the 32, 24 and 16 mixers! Get your questions ready for us! VP of Sales, Rick Naqvi and Papa Beard and Sr. Project Manager, Ray Tantzen will be hosting and taking your questions. Yes, there will be prizes. RAD PRIZES. Don’t miss out. Follow us on Facebook and YouTube and turn on your notifications so you won’t miss the show!